Cosmetic enhancement without surgery is increasingly popular, thanks to technological advances that make minimally invasive facial rejuvenation and body contouring possible. I’m especially impressed with the results achieved by ThermiRF, a treatment I offer at my plastic surgery practice in Nashville. 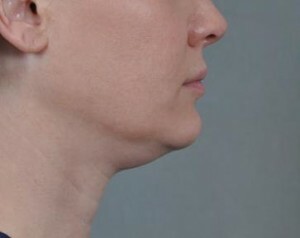 ThermiRF is a versatile, safe, and effective skin tightening treatment that works from the neck to the knees. 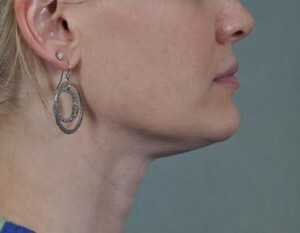 It gets especially great results for patients who are concerned about the appearance of their necks. It’s the first aesthetic device cleared by the FDA to use temperature-controlled radiofrequency energy for skin tightening and wrinkle reduction. It’s an ideal solution for men and women bothered by small trouble spots who don’t need or aren’t ready for plastic surgery. Because it’s a relatively new treatment, patients often aren’t familiar with ThermiRF, so I thought I’d use this opportunity to explain the treatment in a little more detail. ThermiRF uses radiofrequency energy to heat the tissue just below the skin’s surface, triggering the production of collagen and increasing the skin’s elasticity. Because the radiofrequency energy is precisely controlled with proprietary Thermal Image Monitoring™, the treatment doesn’t damage the skin. Its safety and effectiveness are documented in a study published in the December 2014 issue of the Journal of Drugs in Dermatology. We use a local anesthetic for patient comfort during the treatment, which is performed in our office. Once the targeted area is numbed, patients experience virtually no discomfort. There may be some pressure or a warm sensation, but that’s about it. I insert a very fine needle and a thin probe into the targeted area to apply the radiofrequency energy from below the skin. The treatment itself takes about an hour, depending on the areas being treated. Some post-treatment swelling and bruising is normal. ThermiRF is a great way to reduce jowls and double chins, tighten skin on the upper arms and thighs, and reduce love handles or a tummy. It’s extremely versatile. Because it involves only tiny incisions, there is little downtime following a treatment. Most patients resume their normal activities 24 hours after the treatment.